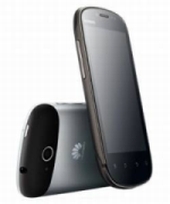 Huawei, a global information and communications technology (ICT) solutions provider plans to launch its smartphone offering called Huawei Vision in India by the end of 2011. The phone will have a 3D interface and will support cloud computing. The mobile phone has the Android 2.3 (Gingerbread) operating system and will be powered by a 1 GHz Qualcomm Snapdragon MSM 8255 processor. The 3D mobile interface doesn't actually mean you will have to wear 3D goggles to operate the mobile phone; it's simply a 3D interface running on a 2D screen. It displays 3D panels on the home screen which can be selected individually with a swipe, adding to the multimedia experience (at least that's what the company claims). Huawei has a 5 mega pixel auto focus camera with LED flash at the rear that can also record 720p videos. It has an aluminium alloy uni-body and will be available in rose gold, silver and charcoal colours. Additionally popular games like Angry Birds, Asphalt 6: Adrenaline, Order and Chaos Online and Guerrilla Bob HD will be pre-installed in the device. "Huawei vision will be launched in the fourth quarter in India and we have still not finalised its price," said Anand Narang, marketing director of Huawei Devices, according to The Mobile Indian. "Vision will not come locked with any telecom operator; rather it will be bundled with free data usage plans from multiple operators." An interesting feature in the mobile phone is cloud computing. This will allow users to download applications without actually using the storage space of the device. Instead of the mobile phone memory, the data will be stored on servers that can be accessed over the internet by either Wi-Fi or mobile internet. This means the storage space in the mobile will be sparsely used (which is a good thing since it increases processing speed) but also indicates that in order to use the applications users will always have to be connected to the internet.